When I first started this site 5 years ago, there were very few options for Jabba the Hutt plushes. The Star Wars Buddies Jabba from Kenner was about it. 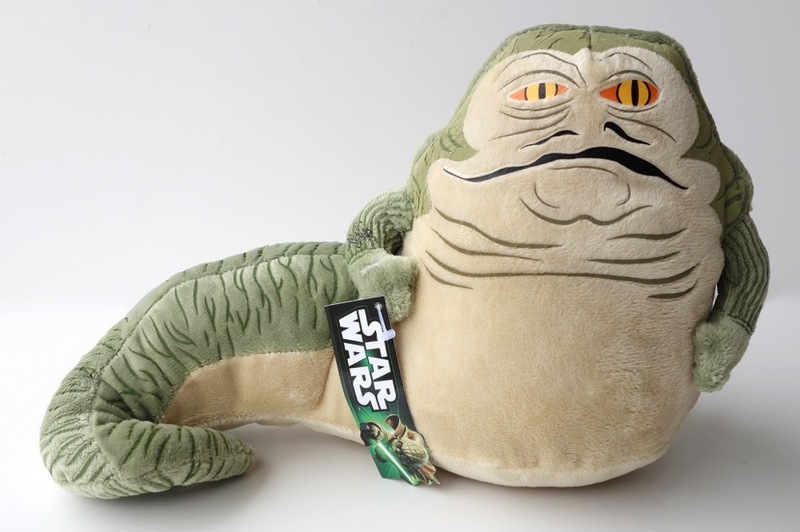 But since then we’ve had quite a few, including a Jabba “Scruffy” (also by Comic Images), the Previews Exclusive large talking plush, and even a couple of dog toys that could pass for plushes (see here and here). This is the most recent addition, and it’s quite well done. It’s about 12″ wide and constructed of a fairly soft plush material. The details appear to have been applied with a kind of paint on top of the plush material, as opposed to the Previews Exclusive version, which uses embroidered details. So I’m a little unsure about its longevity. I could see the paint (or whatever it is) coming off if this actually got used very much. Other than that, it’s a nice plush for a reasonable price (I paid around $14). 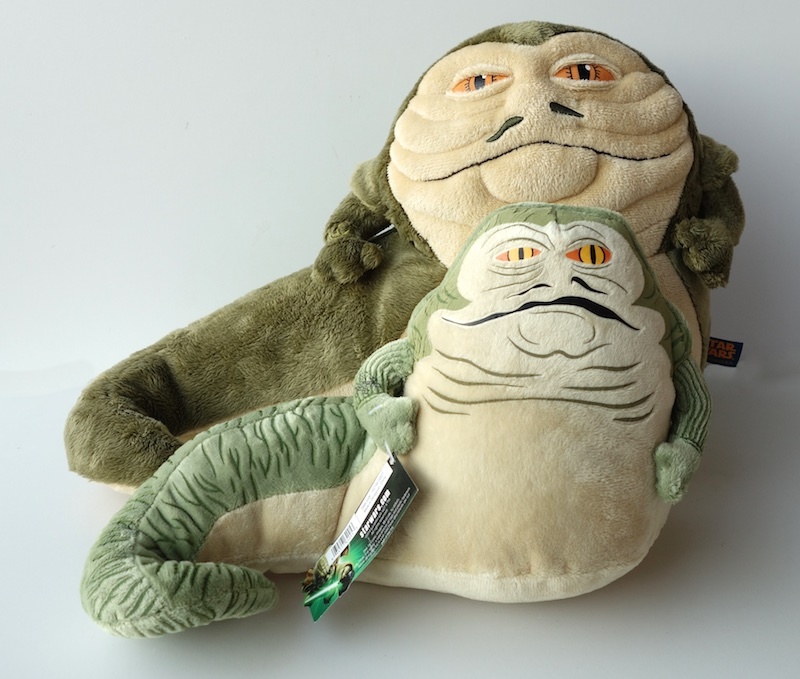 It’s pictured below with the Previews Exclusive Jabba, since they’re the only two currently available, and they’re also the best and largest Jabba plushes that have been made.